As many of you know, since DNS has not been moved (from old ISP to Dreamhost), the “domain” is really just a folder on Dreamhost server (something like “/home/example.com”). https://mysql.example.com (again, since this will redirect it to my old ISP). How do I upload it to https://mysql.example.com? Can I do this from ssh session on Unix CLI by logging to MySql interface? Both hostnames (mysql.example.dreamhosters.com and mysql.example.com) refer to the same MySQL server, so there’s nothing to move. If you were to switch your DNS over and connect to phpMyAdmin on mysql.example.com, you would see all of the exact same databases already there. Maybe I did not explain it clearly or don’t understand the “moving a new and active domain to Dreamhost” clearly. I would reason that most customers, with an active website, when moving to Dreamhost has gone through this same process to some degree. i.e. For a CMS-oriented website, such as Wordpress, this will allow you to test it, make sure the page loads are okay, and that everything looks correct before you move your real domain. At this point, your domain is still hosted by old ISP. But a duplicate test copy is up on Dreamhosters. On my Linux host at home, I can do this with no problem. i.e. in the browser I can pull “example.com” from Dreamhost and not from my real domain from old ISP. Anyways, in case someone else was stuck at this point, here is how I dumped and loaded MySQL from my database on example.dreamhosters.com to my database on example.com (again, the one that is hosted on Dreamhost. The actual domain on old ISP is untouched). In this case, the “oldhost” and “newhost” are the same host - the name of Dreamhost server your domain is being hosted on. Any database you create for any domain within the account is available to any other domain. Your browser does not need to know where mysql.blah.tld is - that’s just a name that the WP script to uses to connect internally (like localhost). You don’t need 2 mysql hostnames or 2 databases. When using the HOSTS hack you don’t even need a dreamhosters sub-domain. Thanks for clarifying point 1! example.dreamhosters.com (for testing - such as downloading new plugins etc to ensure it does not mess up the format of the main website. So data here will be a subset of the example.com) and example.com. a. Do I need to download and run “search and replace” tool or some plugin that does similar thing, by replacing “example.dreamhosters.com” with “example.com” (which will run on the db tables and on static php files across the entire /home/example.com folder structure? b. manually and carefully change wp-config.php - adding the right db name/password etc.? c. Any other points/caveats/gotchas I need to be aware of? Please share a link if it is already explained somewhere. Thanks in advance to everyone responding! For the benefit of anyone reading the thread, I was able to make the site work last evening (till what is discussed in the thread; there might be some more challenges ahead). Here are some details if anyone is following this thread. Also, there is a possibility that a few things maybe out of sync since I have done these in bits and pieces and trying to remember the steps. Original site, say example.com, is still hosted at old ISP and nothing is changed there. /home/example.dreamhosters.com - test site so I can see load time before hosting on Dreamhost, test plugins to ensure it does not mess up site looks etc. Created WP site structure, added posts and pages under "example.dreamhosters.com"
Note: I did a dump and load from old site but the site format looked a bit messed up. Given that the original site is not in WP and WP footprint is very small, I decided to recreate it. confirm it worked; both of these should look same. If this worked, it will copy your entire data to the new db. You want to export your db content (from all tables) into a .sql file. and import the .sql file. It might even pick the file from your PC. I didn’t try this but I am fairly sure it works. STEP 4. Search and replace all instances of “example.dreamhosters.com” with "example.com"
Note: I am sure there are good WP plugins to do just that in a simpler way. Note: I haven’t quite figured out this ritual. Maybe I need to empty cache used by WP Super Cache or any other cache plugins. However, this does seem to “refresh” links. If I just pulled my site (example.com) on the nix host with temp dns, the links still showed from old “example.dreamhosters.com”. NOTE: At this point, both “example.dreamhosters.com” and “example.com” should look exactly the same. i.e. example.dreamhosters.com shows in any browser since it is on the internet. And “example.com” only shows on the PC on which you have set up the temp DNS. 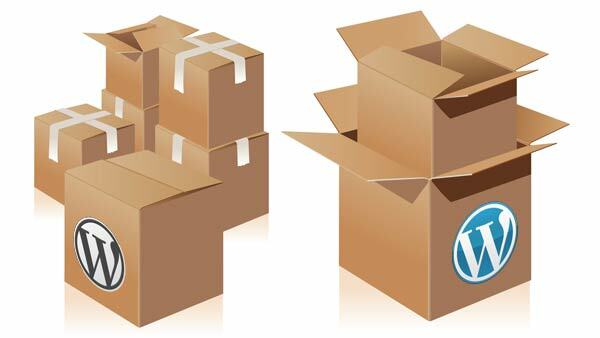 35+ WAYS TO MOVE A WORDPRESS WEBSITE! I've Put Together More Than 35 Resoureces Covering Different Tactics to Moving A Wordpress Website. Check It Out Now!